Justin Timberlake Archive - JT To Perform at Festival Presidente in the Dominican Republic! 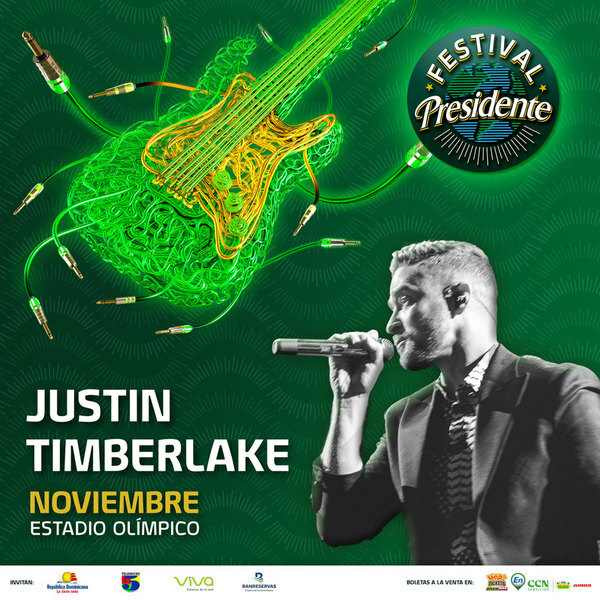 You are here: Home / News / JT To Perform at Festival Presidente in the Dominican Republic! This year is the festival's 20th anniversary, and you better believe they're going to celebrate. According to CND (Cervecería Nacional Dominicana) president Franklin León, this year's festival will be "the biggest and boldest Presidente Fest Season of all time," providing "music, excitement, innovation and all the out of this world experiences we have to offer." With JT as headliner, they're already on the right track. Come back soon guys, you guys did amazing as always!!! We love you in the DR!! ?????????????????????????????? The link in the article doesn't work to purchase tickets :( Is there any other way?? Does anyone know where I can purchase tickets online for this? I'm in the US and hope to attend this Saturday! Please help!